Bring your talents & join us! Searching for a new beginning? Tired of the status quo? We’ve got great news for you…you’re in the right place at the right moment! We welcome both those who are just starting their career and the professional who is looking for a fresh start. For those who bring their best to the table, there are plenty of rewards and acknowledgements. We also want your input and ideas because we believe in a group effort. If this is you…great! Let’s meet. We’d love to help you chart your path to a bright future where you can attain your artistic goals with advanced training and mentoring. 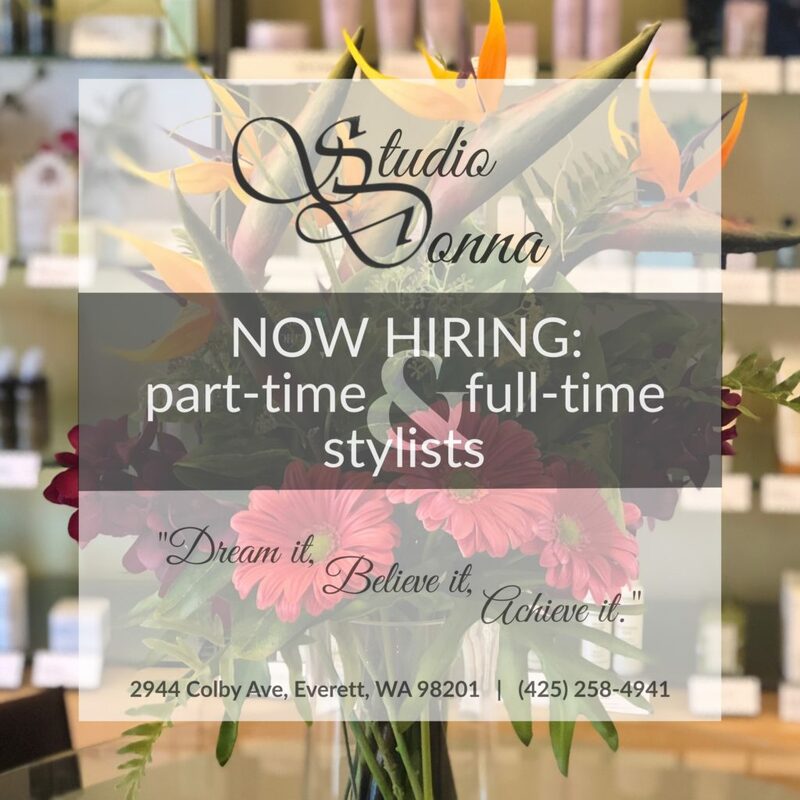 The position is for a stylist, but our ultimate goal is to find a friend and cohort. Begin your journey and help to make the world a more beautiful place. Dream it, believe it, achieve it.